Whether you are a college student with plenty of writing assignments, content creator, or a writer you surely had and currently have struggles with writing speed. Being fast and productive at writing is not given, yet, it is something you can achieve, becoming a writing machine and being capable of maintaining several blogs and articles at the time, both at a faster and better rate. 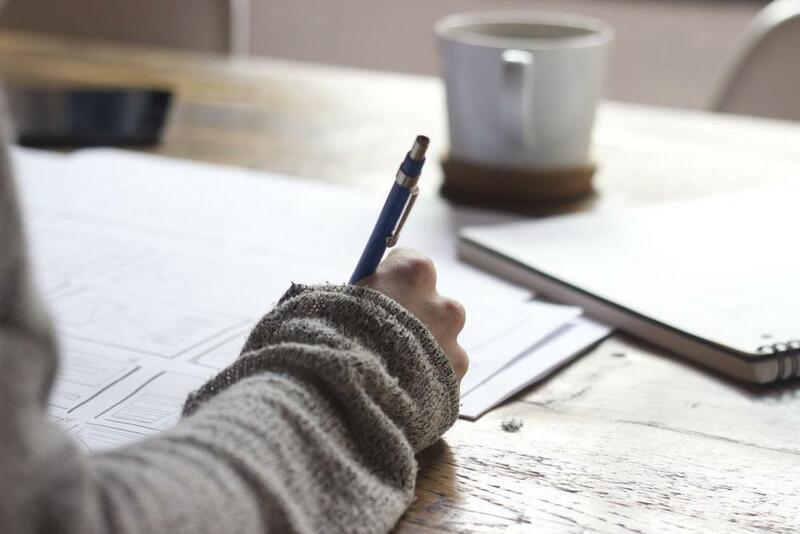 With several tips and tricks, all of which you can find in this article, something so complicated and unachievable can become part of your routine writing life. The secret to writing anything quickly is about to become not a secret, so fasten your seatbelts and prepare to set fire to your keyboard, cause we are about to exceed the writing speed on this road! As easy as it sounds, most writers ignore the basic rule of being a productive worker, which is setting an outline of the text before actually writing it. Yes, it might sound boring, and a true artist does not like to plan the art process, but it is just simply easier to write the whole text from the start to the bottom when you actually know where to start and where to finish. One of the reasons why writing might take so much time for you is that you just don’t know what to write, and making a short narration of the text might be a great helper at that. Break it into small pieces - the introductions, body paragraphs, and their main points, and conclusion, then stick to this outline in order to finish an article or an assignment faster than ever. It also saves a lot of time if you find most of the references for the paper (if needed) before, therefore not distracting yourself and not spending your time on the research while being in the working heat. Add those references beforehand in the outline to have a better idea of what are you writing about. Find your perfect time to write, and milk it as much as you can. People are different, they truly are. Some find themselves being most productive right after waking up in the morning, some at night, and some only 3 hours before the deadline. The last one is a joke, don’t be like that, but on the serious note, if you have been working with texts long enough, you probably know by now what is your time of the day. If not, experiment a little and write at different times of the day to find the perfect one, and then stick to it as much as you can. Famous Japanese author Haruki Murakami finds keeping it scheduled very important for his work, as he wakes up around 4 a.m. and works for 6 hours everyday, in order to finish faster and be productive all the time. Ernest Hemingway also found morning the best time to write, as no one distracted him during this time. The easier way of combining both of the most and the least productive times is writing the raw and unedited piece at the highest peak of your writing hour, and proofreading and editing the text while not being creatively productive and fast. Most of the people write faster while feeling inspired, and choosing to work on the text at the time of day when you feel high on creativity is a way to go. Turn your phone off. Just don’t waste your time on it. Throw it away, if needed. When working on the text, one important thing that keeps you low on productivity is a distracting phone and other kinds of procrastination. Nothing important will happen in the world while you’re trying to finish your 500-words assignment, there is no need to have a phone around. Try to put it as far as possible and concentrate on the paper in order to finish it faster and get back to the online world. Some people like to listen to the music while writing, but, truth to be told, it also can be too distracting, so it is better to listen to your favorite Britney Spears album after the paper is finished. Generally, anything that could distract you from the paper needs to leave your working space, not only phone, but also games, food, and other people. Alternate your work with short breaks, but do not waste breaks on useless activities like scrolling Facebook feed or watching videos. Yes, for most people this is what normal activities for resting are, yet, by choosing to waste your 10 or 15 minutes online you only distract yourself from work that needs to be continued, and you could possibly lose motivation to finish the paper. When you go online time as a concept tends to loosen up, as you enter an alternative time zone and one hour on YouTube usually feels like 5 minutes. We are not talking about rough physics of modern age though, our main focus is your productivity, and choosing healthy activities for your break. First, set the alarm, to know when exactly your break is finished. Great ways to rest a little include doing some simple exercises, walking around your office or room, having a healthy snack like nuts or fruits, and talking to other people. The best option is definitely exercising, as hard it sounds, but most people who write a lot also lack a lot of physical activity. There is no need to do something difficult, just do some push-ups, squats, or stretch your muscles. Get those bones cracking for a good one, and get back to writing, now feeling refreshed and ready to finish the paper fast and firm. Set your own deadline, and stick to it as much as you can. Most writing projects have their own deadlines, set by professors, clients, or your boss, but it is great to be the owner of your own life and set them yourself. Obviously, your deadline should finish before an official one. Having a strict deadline makes anyone, even the laziest author, be more productive and fast. You can also set your own rules about the deadline, as well as bonuses for those times when you are finished before the time is up. These are the main points that could help you while writing, though it is important to remember that working on texts is not a vacation, and only your own hard work and effort can make the texts written fast and great. Make an outline, don’t get distracted, let yourself rest a little, and keep it fast and productive. Now, when you learned the secret to writing anything quickly, it can become easier to use your own powers to make every assignment, essay, text post, or article the best out of the best.